Like St Kilda the Out Skerries is actually an archipelago of islands, neither of which carries the name Out Skerries. 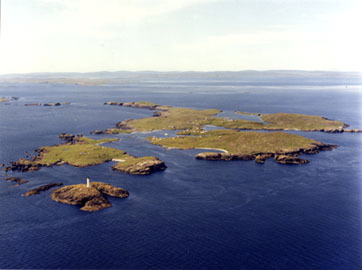 Lying about 24 miles North East of Lerwick near the island of Whalsey the archipeligo is made up of Housay, Bruray and Grunay together with many other islets and rocks. 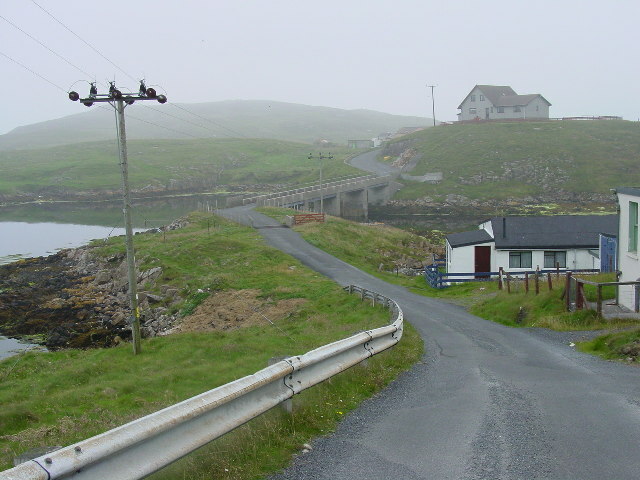 Housay and Bruray were joined by the present bridge in 1957. The other island in the group Grunay is uninhabited. The extent of settlement by early man still awaits proper investigation. However, Norse habitation is clearly recorded by the many Norse place names in the Out Skerries. The real history of the Out Skerries is the history of the sea that surrounds them as many a ship has come to grief on the rocks of the Skerries. From as far back as the 17th century ships have met their end on the dangerous waters, rocks and stacks which surround these isolated islands. 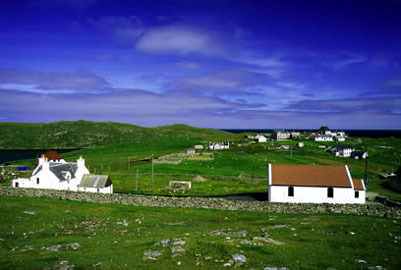 There are unexpected historical sites to investigate, such as the "Battle Pund", on the West Isle. It is thought that blood feuds were once settled here. The shores in and around the harbour bear the signs of Skerries' fishing heritage: At the North Mills on the West Isle and the Lang Ayre on Bruray, you can see the remains of the lodges lived in by haaf fishermen during the summer season; by the pier sits one of the last iron kettles in Shetland, once used to melt fish livers and later to prepare cutch bark for coating fishing lines and nets by those same intrepid fishermen. ​On the currently uninhabited island of Grunay, once home to the keepers of the now-automated Skerries lighthouse, tragedy of a different kind is remembered. Here a Canadian bomber crashed during World War II. A plaque commemorating the event was placed on the island in 1990. Out on the south-westerly tip of the Point of Mioness, you can dream of treasure, for it was here, in 1960, in the Dregging Geos, that old Skerries stories about gold and silver coin being found came home to roost. A silver ducatoon and a 1711 gold ducat were found, prompting a mini-treasure hunt !! Nowadays the 80 or so inhabitants of the Out Skerries are mainly involved in farming and fishing. Shetland Heritage - Out Skerries section of the informative Shetland Heritage site contains a good history of the archipelago. Some good but small photo's of the Skerries as well as a limited but none the less interesting collection of local information. Vidlin - Page from the excellent Undiscovered Scotland site about Vidlin, the departure point for the ferry to Whalsay and the Out Skerries.